It's been way to long but we managed to get some buggy stuff worked on the other day. I'm self employed so sometime I really don't have time to do anything. I own two different businesses and this year they have both grown a lot. Hopefully as this trend continues, I'll be able to find some more help and have more time for myself again. We used my cnc mill to make the piece that the chain adjuster slides in. I actually cut the 1/2" slots with a 1/4" end mill. I was able to program it to helic into the material then walk around the slots. We also made all the rear arm spacers on the lathe. I forgot to take any pictures. 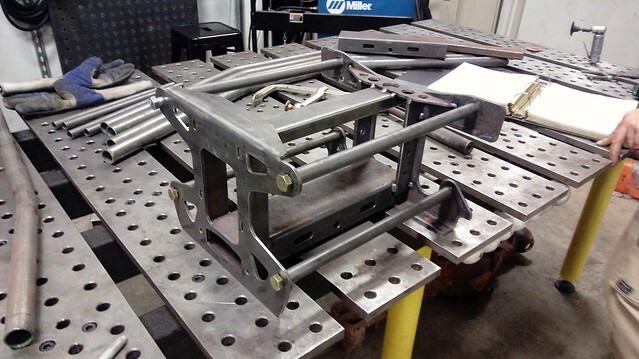 Once we had those and the chain adjuster tube, we assembled the rear carrier. I'm really trying to find time to work on this thing. We found a bit Sunday afternoon. We decided to deviate from the plans slightly. The chain adjuster piece is made of three pieces of plate and one piece of tubing. 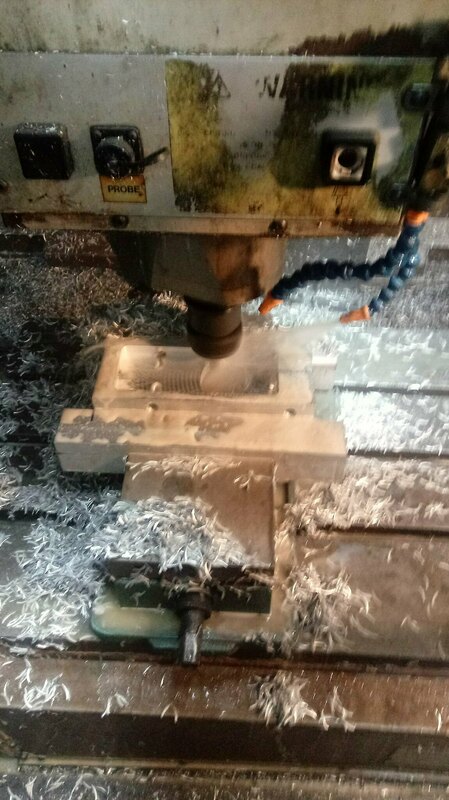 We decided to machine it out of a piece of aluminum instead. Like any good project, you have to make something before you can make the part for your project. 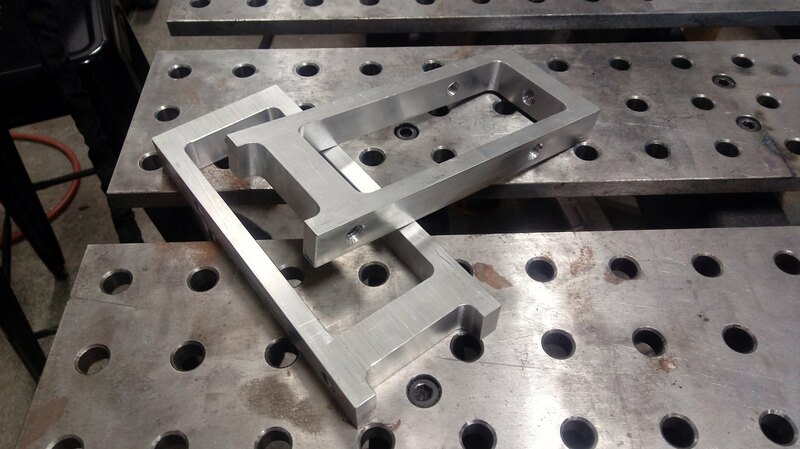 We had to machine some longer soft jaws to be able to clamp this part in the vise as the pocket in the middle is roughly 7" long so I didn't want 6" vise jaws squeezing it. We machined them out of some 2" bar I had laying around. I slotted the mount holes so they can be turned upside down to be able to get more uses out of them. 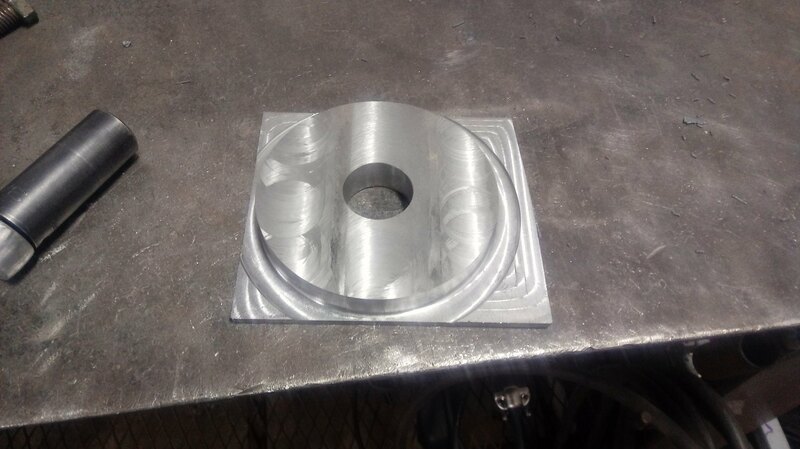 We started by machining the outsides to the desired dimensions. Next, we drilled and tapped 5 holes around the perimeter. I didn't take any pictures of this going on unfortunately. 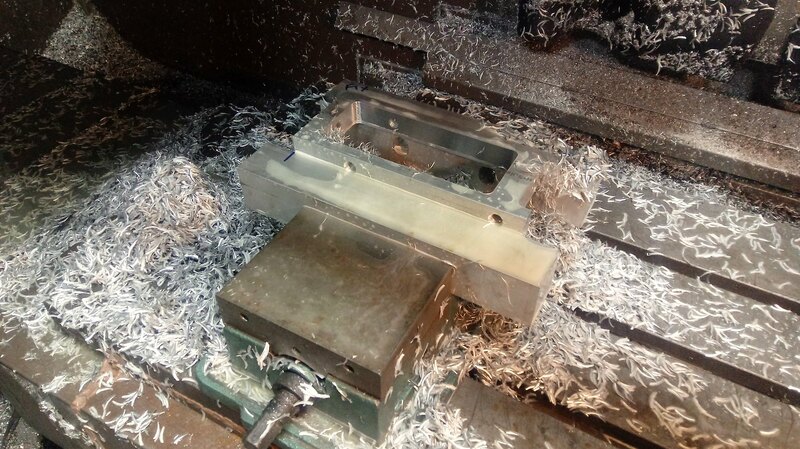 We set the part down into the vise jaws and started removing material out of a large pocket. 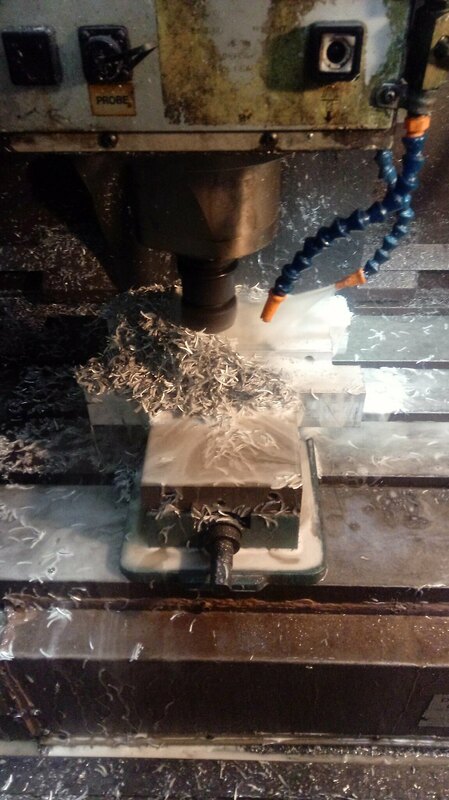 I started pushing the feeds and speeds as I was using a 3 ft carbide end mill. 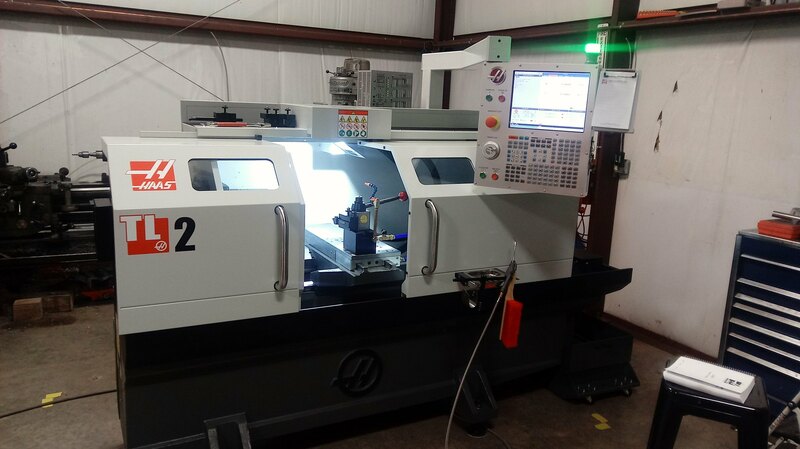 I ended up at 4000 rpm and 43.2 IPM. It took about 7 minutes to pocket this out all the way through a piece of 1" plate. It really started piling up the chips. 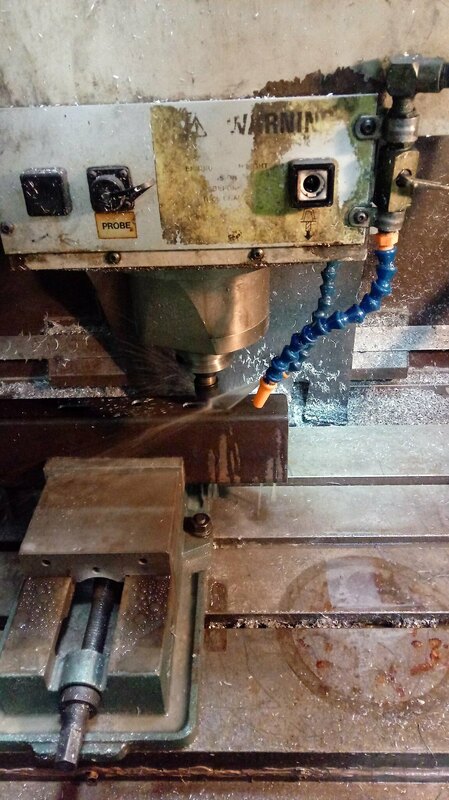 I ended up using compressed air blowing out of the front coolant pipe to move the chips out of the cutting area. You can really see the soft jaws holding the part here. I really didn't want the part to get loose or collapse from regular jaws so this worked very well. Here they are all cleaned up and deburred. 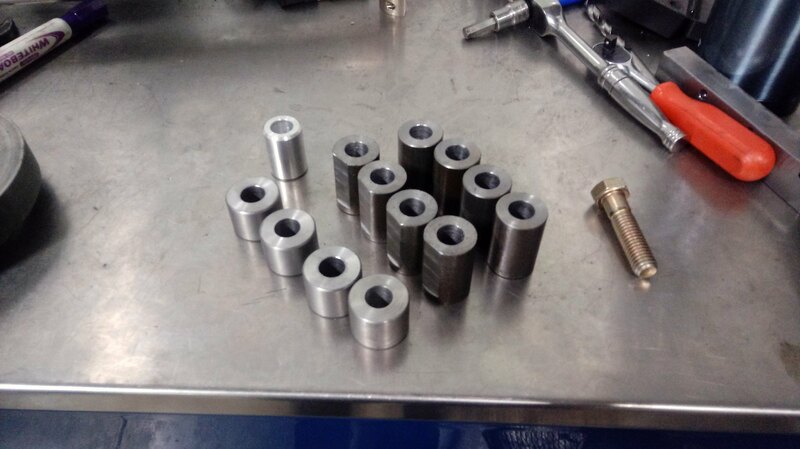 Machined a bunch of bushings for the control arms the other day. 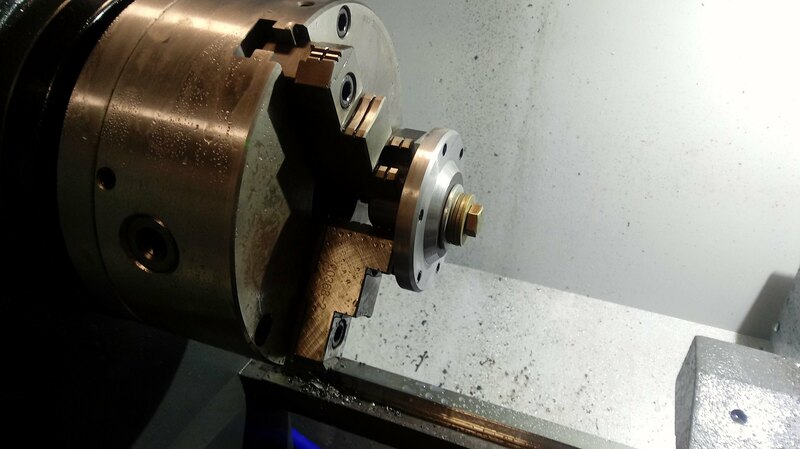 Machined a couple of CV bells the other day on our TL-2 and our Torq cut 22 VMC. I'll keep at it but it isn't going to happen quickly due to running two businesses.